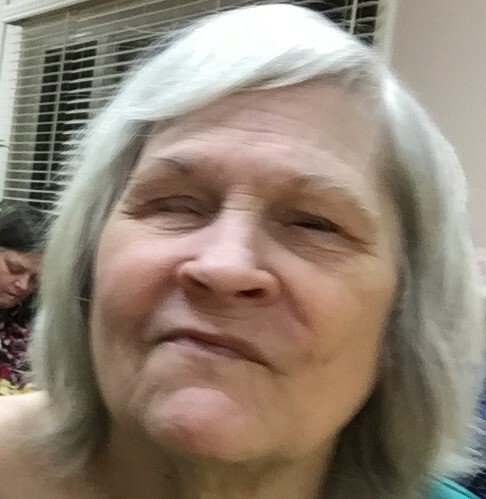 Janice Ann Greene, 73 of Jasonville, IN passed away peacefully February 8, 2019 at Good Samaritan Nursing Home in Jasonville, IN where she was a resident for 10 years. She was born in Linton, IN April 19, 1945 the daughter of George Daugherty and Mary (Burger) Daugherty. Janice was a homemaker. She loved her family and liked to sing and dance with the staff at the nursing home. She was preceded in death by her parents, her husband of twenty years Richard Greene, one brother, Duane Daugherty, one sister, Sharon Earle, and one niece Lori Earle Steed. Survivors include one son, Todd Greene (Trisha) of Jasonville, IN, two daughters, Dana Hamilton (David) of Jasonville, IN and Britany Greene (Rick) of Dugger, IN, one brother Larry Daugherty(Shirley) of Jasonville, IN, one sister- in – law, Karlene Daugherty of Linton, IN, seven grandchildren, Kelly, (Lisa) Brandon, Brock (Sam) Hamilton, Amber Greene, Caitlin Greene, Briana Latimer, and Tyrel Bennett, eight great grandchildren, Lexy, Evelyn, Elaim, Mason, Allyson, Damian, Makynlee, Jenson, and several nieces and nephews. Cremation has been chosen and a memorial service will be held at a later date. Newkirk’s Funeral Home was entrusted with arrangements.